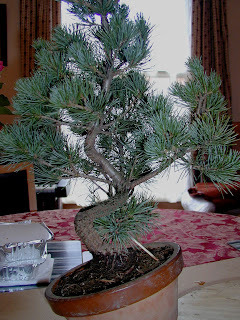 Below is a pictorial history of a white pine bought from John Hanby in early 2004. 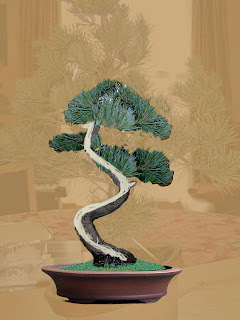 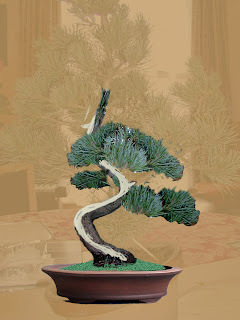 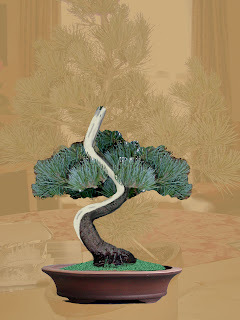 Its a typical example of the mass produced trees available for a reasonable price. 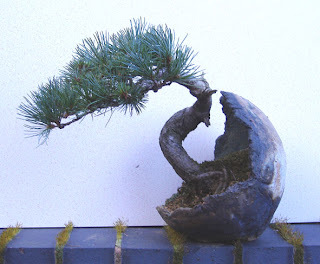 This was my first pine and I bought it to try and learn the skills needed to tame and (more importantly) keep the species healthy/alive!! 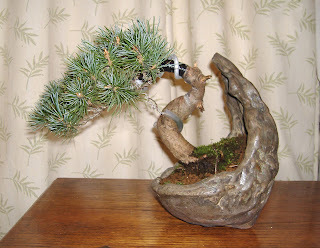 Some 'quick and dirty' virtuals- done to try and find the best option within the tree! 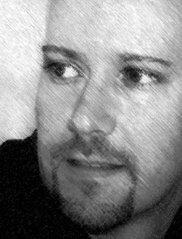 Looking back now I wonder if the right decision was made, but you can't go back and I have to go with the thought that it must have appeared to be the right thing to do at the time!! Repotted, but this pot was later concidered to be a 'tad' to large. 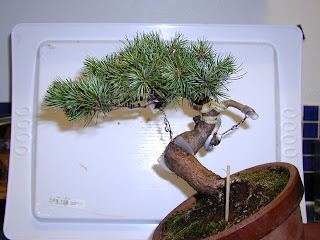 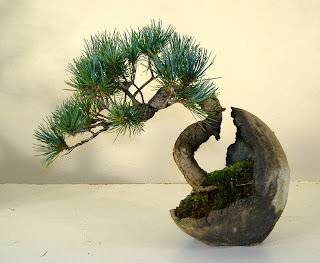 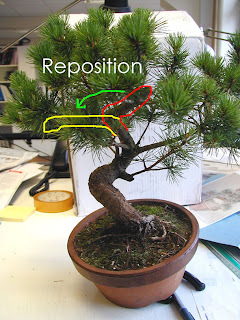 The tree in a new smaller pot -photo taken pre wiring at a 2006 Burrs workshop. 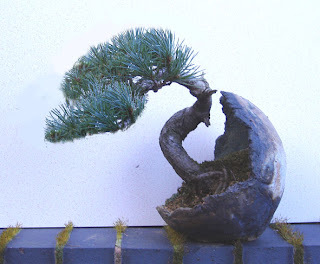 One possible future development, achievable following a bit more growth.